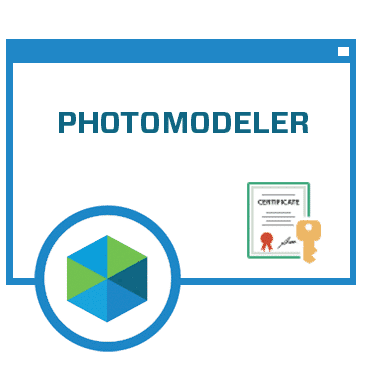 PhotoModeler Standard is Windows software for measuring and modeling from photographs. This is the standard version that supports manual marking, referencing, simple surfaces, and coded targets. The Subscription runs for 1 or 12 months with automatic renewal on the anniversary of the purchase. See Subscription Policies for details on cancellation and refunds. Your purchase includes maintenance (all software updates and reasonable technical support) while the Subscription is active. Purchase requires a credit card that will remain active for renewals. Note: This software installs and runs on your Windows computer but does require internet access at least once per month (on or just after the subscription renewal date) to validate the Subscription status. License agreement allows use on one computer (plus one other computer controlled by license holder if needed). Note: this is not the Maintenance Agreement Renewal for permanent licenses.